A massage of the lower legs and feed, similar in nature to reflexology, but building in centuries of Thai knowledge of the reflex points on the feed and their maooing to the internal organs of the bady. The relevant areas of the feed are stimulated to promote specific health benefits and overall well-beind. This also aids ankle and tendon flexibility and strengthening. 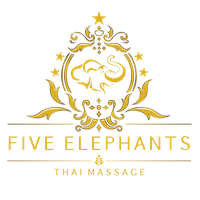 Thai massage is an all-encompassing, ancient art, dating back more than 2,500 years to the temples and tradition of Buddhism. Thai massage is a holistic therapy and works on the muscles, skeleton and also the internal energy within the body which is considered important in Eastern philosophies. A deep tissue treatment focusing onsoft tissue injuries and aching muscle. Penetrative hot oils and our secret hot balm recipe are used to relieve and loosen the affectesmuscle areas. This special massage designed to target the deeper layer of your muscle, aim toisolate muscle knots toaddress specific conditions and releasemuscle spasms. This is a relaxing massage therapy concentrating on the back, neck and shoulder muscles. The treatment is designed to relax and ease tension in the areas of the body where muscle problems most often occur. This massage relieves stress build up for anyone whose upper back and neck holds a lot oftension. Hot Stone Massage in combination with Thai Oil Massage treatment is awesome. It´s one of the best massage treatment combination one can have in a spa or in a Thai Massage Wellness spa. Hot Stone massage is a massage treatment with the use of heated basalt stones. These were volcanic stones which keep the heat for a longer period of time while doing a massage treatment. The heat of the stones give a deeper relaxation and ease the tensions of the muscles. Coconut oil boosts collagen production as it strengthens underlying tissues and help prevent wrinkle. When combine with our great massage, result is ultimate blissful for your mind and bady to be completely relaxed.